Apr 4 There is mold in my apartment. What should I do? Remember that there are many types of mold and that not all mold is a toxic health risk. However, if you are concerned about mold in your rented home, notify your landlord and request that a professional mold inspection and repair company test the mold. Unfortunately, most landlords include a mold disclosure form in the lease that limits their responsibility for mold testing and damages. Your option may be to pay for the test yourself and demand repair if it is found a dangerous strain of mold. If your landlord refuses to properly repair the toxic mold issue, this may be a failure of his duty to maintain the property in a safe and habitable condition and you may have a remedy. 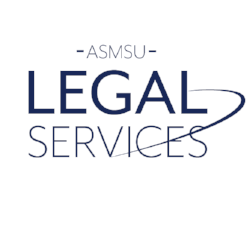 Again, before attempting to terminate your lease or repair the problem yourself and deduct the cost from rent, get assistance from ASMSU Legal Services. Apr 4 What happens if my security deposit is not enough to cover all the damages? Feb 21 What should I do after I sign my lease? Apr 4 What can I do if my landlord refuses to make repairs?